The protection of minority shareholder rights used to be the domain of Britain and the United States. By the 1970s, the legal provisions they put in place under the “common law” legal tradition, to protect minority investors from the actions and decisions of large shareholders and management, made stock market capitalisation grow rapidly and resulted in widely dispersed stock ownership in the two countries. Meanwhile, continental European, East Asian and Latin American countries evolved very different models of the corporation and its relationship to shareholders, often emphasising the roles of large controlling shareholders, banks and employees. But beginning in the 1980s, these countries introduced a number of reforms affording minority shareholders a number of protections, such as increasing the power of shareholder meetings, prohibiting multiple voting rights and dual-classes of shares and requiring disclosure of major equity stakes. This trend came about in response to new economic ideas about free markets, imitation of other countries in the same region, emulation of the United States as a global financial leader and pressure from the International Monetary Fund (IMF), which was eager to induce countries under financial stress to implement reforms. 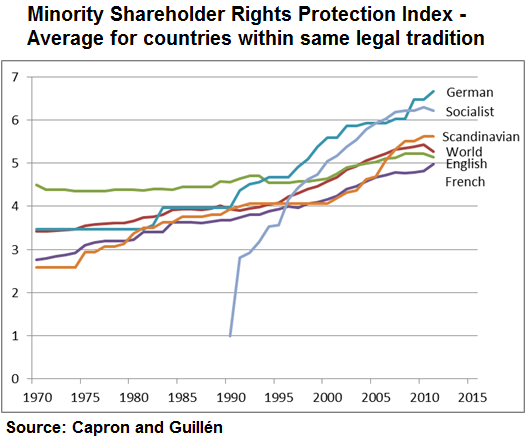 In my recent paper State Capacity, Minority Shareholder Protections and Stock Market Development, with Mauro Guillen, professor of management at Wharton, we find that by 2010, the countries in the world with the greatest degree of protection for minority shareholders were surprisingly Kazakhstan, Russia, Uzbekistan, South Korea, Mauritius and Poland. In our paper, we coded the legislation existing in 78 different countries from 1970 to the present to determine whether changes in legislation led to the creation of more robust equity markets. We find that the adoption of legal protections increases stock market capitalisation, stocks traded and turnover in these countries because investors are more willing to invest and take risks. However, we also found that just adopting the legal provisions protecting minority shareholders is not enough. Enforcement of regulations is essential to grow stock market capitalisation and create a more dynamic equity market. The extent to which the state can guarantee effective implementation of legal provisions by enforcing them is a crucial contributing factor to the development of the stock market. This guarantee depends on what political scientists call “state capacity”, the administrative ability to formulate and implement policy. In other words, the beneficial effects of such legal provisions are larger when the government has the capacity to enforce them. We hypothesised and found that the greater the state capacity, the less the government would be swayed by the influences of certain social groups or professions, such as groups of economists. In these cases the temptation to imitate other countries’ legal practices would be reduced leading to more tailored policy. Greater state capacity was also found to enhance the effects of the coercive pressures of multilateral agencies such as the IMF, as a strong government is able to overcome the domestic resistance that suggested reforms might provoke. Our research has two main implications. While chasing the best returns, investors should also take legal frameworks into consideration when deciding where to put money. Legal institutions give investors mechanisms to pursue action if the actions of large shareholders go against their interests. Companies also need to make sure minority shareholder rights are protected whenever they make decisions to list in foreign countries. Greater shareholder rights are a strong antidote to the abusive use of private information by big firms and their large shareholders. Therefore, we are making the information for this study available free of charge. For policymakers, our findings clearly demonstrate that it pays to give investors adequate support, which in turn supports liquid, vibrant and growing capital markets that can attract investment. Laurence Capron is a Professor of Strategy at INSEAD and The Paul Desmarais Chaired Professor of Partnership and Active Ownership. 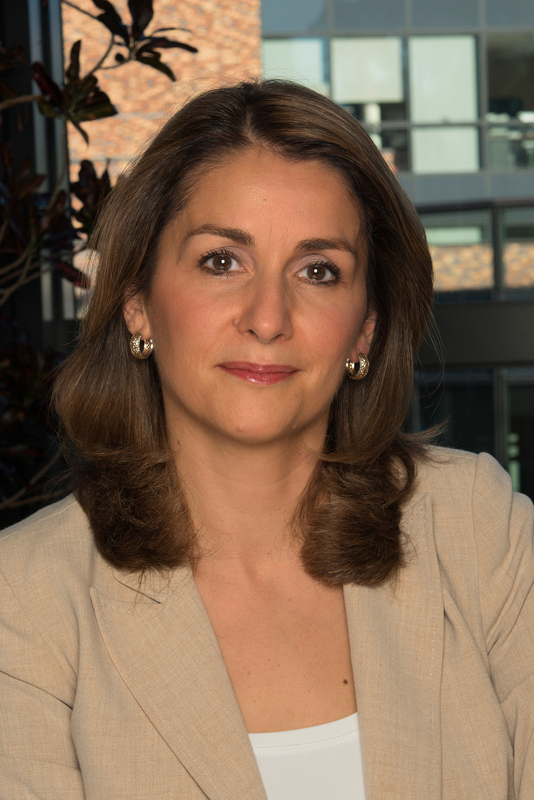 She is also the programme director of M&As and Corporate Strategy, one of INSEAD’s Executive Development Programmes. 251 users have voted, including you.